Through “thinly veiled complaints,” Charter allegedly discourages TV networks from supporting the new streaming service. Sling TV appears to be riling up cable providers as it tries to provide a cheaper alternative to big channel bundles. 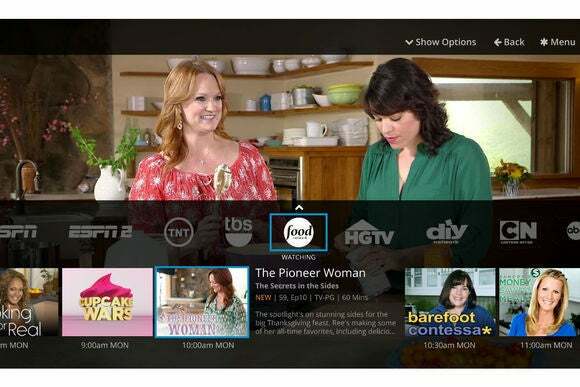 One cable provider, Charter Communications, has allegedly been discouraging TV networks from licensing their content to the service, according to Sling TV operator Dish Network. The complaint appeared in a filing with the Federal Communications Commission, which Dish then shared with Fierce Cable. “Charter’s documents further reveal thinly veiled complaints to programmers about making their programming available to Sling TV and other OTT products,” Dish’s filing said. The report doesn’t any specifics on what exactly Charter is doing. In response to the allegations, Charter merely repeated a statement made several months ago, saying that it’s friendly to streaming services with fast speeds, no contracts, no modem fees, and no data caps. Dish has been petitioning against Charter’s proposed merger with Time Warner Cable, arguing that the combined entity’s market power would hurt online video. Sling TV launched back in February with 11 cable channels for $20 per month, including ESPN, CNN, TBS, and TNT. Since then, the service has expanded to more than 20 channels in its basic lineup, and has been trying to make deals with more programmers including major broadcast networks. While this type of service was unthinkable a few years ago, the rise of cord cutting is prompting more networks to expand beyond the traditional cable bundle, and likely scaring traditional pay TV providers in the process. The story behind the story: Dish could have an ulterior motive here, as a Charter-Time Warner Cable merger could put Dish at a disadvantage when negotiating for its own content deals. Still, it’s not as if this would be the only instance of underhanded attacks on Sling TV. Over the summer, several Comcast-owned NBC stations allegedly refused to air Sling TV ads. Sling TV CEO Roger Lynch has also spoken out against Comcast’s plans for data caps and overage charges, noting that round-the-clock channel streaming would easily cause users to go over their limits. The notion that cable networks want to uphold the status quo is not especially difficult to believe.